Travel south along the Indian Ocean, visit Selous GR, Historic Kilwa, cross the mighty Rovuma River and visit the Historic Island of IBO and relax the last days on pristine beaches. Day 1: Arrival in Dar es Salaam On arrival you’ll be picked up and brought to your hotel in the center of Dar es Salaam. Day 2&3: Selous Game Reserve We have a full day to spend in Selous game reserve. We will take a packed lunch and go on a full day game drive with our own car and driver. 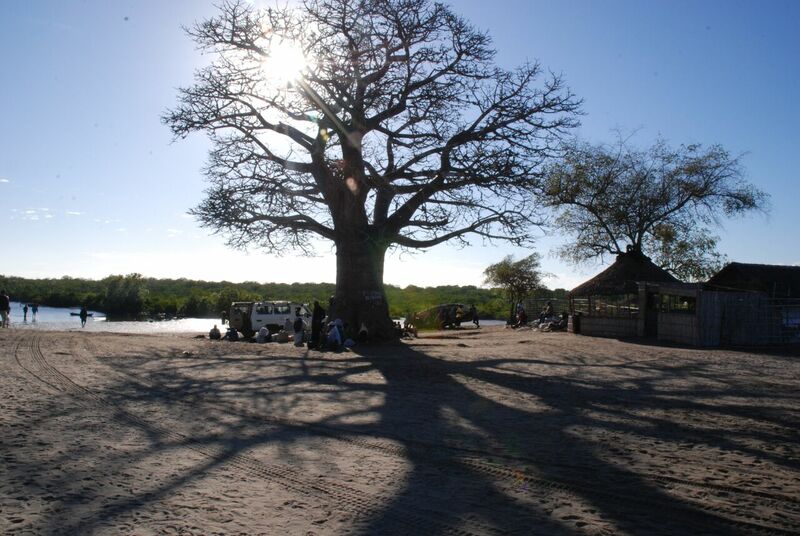 Selous will give you the feeling you are one of the first visitors going on safari there. We will hardly meet other cars with tourists and you will notice that the animals are not yet used to cars like they are in the Northern National Parks. We will most probably see lots of elephants, giraffes, zebras, antelopes and hopefully some lions and wild dogs. After our safari we drive back to our camp and enjoy the last night with a diner near the Rufiji River. Day 4-5: Kilwa Today we see the landscape changing from the Savannah to the Indian Ocean. Prepare yourself for a long ride off of the tarmac road. The Rufiji River is the largest river in Tanzania and in the rain season expanding up to fifteen kilometers wide feeding innumerable lakes and pools. The waters are important breeding grounds for prawns, shrimps and fish. 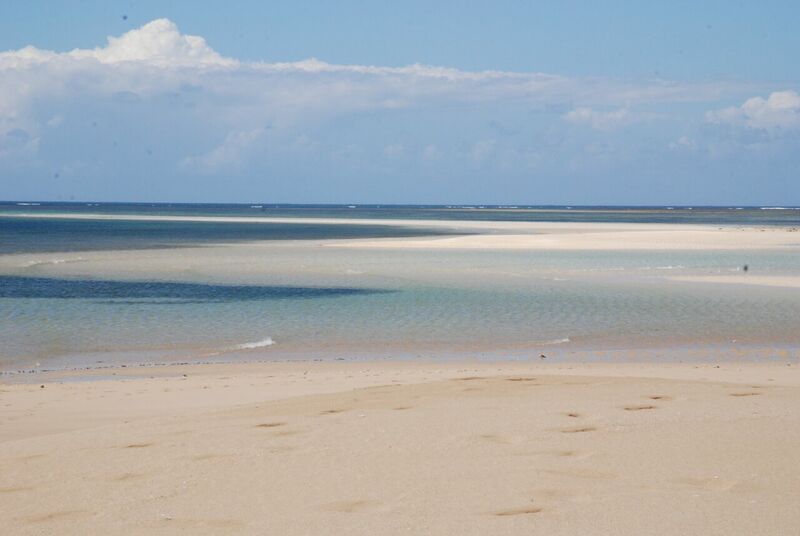 As result of the water the roads are often cut down which makes the road to Kilwa a thru adventure.Kilwa is a remote village near the coast famous for its excellent diving spots, snorkeling opportunities and the ruins of Kilwa Kisiwani. 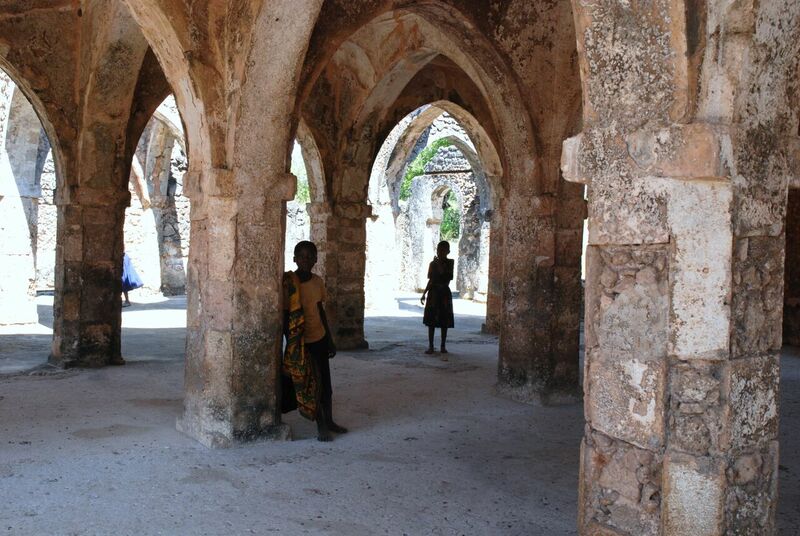 In medieval times Kilwa was one of the wealthiest places of Africa as result of monopoly of gold trade. The ruins are still impressive and give a good view on how the city must have looked like and the roof of Mosque is impressively built. Today or tomorrow you can bring a visit to the ruins, situated on an island two kilometer offshore. By local dhow you will sail to the island and guided around. From our campsite you have an overlooking look on Jimbiza Beach and the bay were you can enjoy the beach, swimming in the Indian Ocean and relax with a drink while the sun is setting. Day 6: Kilwa – Masasi We leave Kilwa behind us and drive along the coast southwards. For decades, the south coast was remote as result of the rains making the area unreachable. With the construction of some bridges over the Rufiji- and Rovuma River the area can be explored more and local development is coming up. We stay the night in a basic local guesthouse in Masasi, two hours from the border with Mozambique. Masasi is a typical Tanzanian city with many shops, guesthouses and street business giving you the experience of a real African city. When there is time you can bring a visit to the colorful market. Day 7: Masasi – Mueda (Mozambique) In two hours we drive to the border of Mozambique which is indicated by the Rovuma River. After the formalities on the Tanzanian side we cross the river by the Unity Bridge for the formalities on the other side. You are in Mozambique and you will see the culture has been changed as the houses made of stones, clay and Makuti (made of palm leafs) roofs. In a few hours we drive we drive to our basic guesthouse in Mueda. The town is most important city on the Makonde Plateau named after one of the largest tribes of Mozambique. The plateau lies at about 800m attitude. 10: Ibo Island – Pemba We leave Ibo Island the way we arrived: by traditional dhow and set for the ride to Pemba. This is a small lively beach town and the capital for visiting the northern part of the country. On our way you will notice the production of salt by the while mountains near the road. On arrival you have time to have a look around in Pemba and bring a visit to Murrebue Beach which can be seen as the place to be. Try the delicious seafood in one the restaurants on the beach. We camp near the beach. * Contact for information on (multiple) day sailing safaris from Pemba.sterious atmosphere of the island. Day 11: Pemba Murrebue at leisure. NOTE price does not include flight from Pemba.